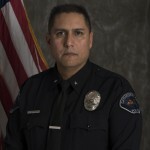 Date/Time Reported: November 21, 2018 / 3:30 a.m.
On November 21st, 2018 at 3:38 a.m., an officer was on patrol in the area of Avenida La Paloma and Ramon Rd. The officer observed two vehicles in the middle of the roadway with no headlights activated and noticed people exiting and entering the vehicles. The vehicles drove away and the officer conducting a traffic stop on both vehicles. As the officer approached the vehicles, one of them drove away at a high rate of speed, and a short vehicle pursuit ensued. The suspect vehicle traveled west on Ramon Rd., into the City of Palm Springs. At 3:41a.m., the suspect vehicle collided with an occupied vehicle at the intersection of Calle Encilia and Ramon Rd. A male and female fled from the vehicle on foot into the residential neighborhood. The female was located a short time later, by assisting Palm Springs Police officers. She was identified as: Nicole Guzman (DOB 11/02/84). Guzman was on parole and was wanted as a parolee-at-large. 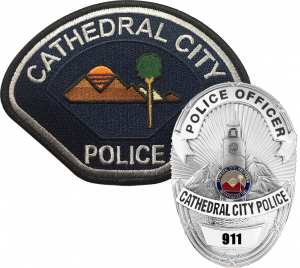 The second suspect has been identified and the Cathedral City Police Department is currently in the process of locating him. Officers found an unsecured, loaded 9mm pistol, left behind by the suspect(s) in the vehicle. Guzman was arrested for the parole violation and for gun charges. The driver of the vehicle that was struck at the intersection was transported to a local hospital for treatment of minor injuries. The Palm Springs Police Department is conducting the associated traffic collision investigation.